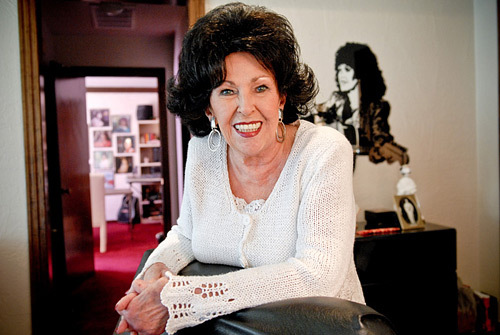 Wanda Jackson | True Endeavors Presents: music, tours, tickets, mp3 downloads, concert pictures, videos, Madison WI. 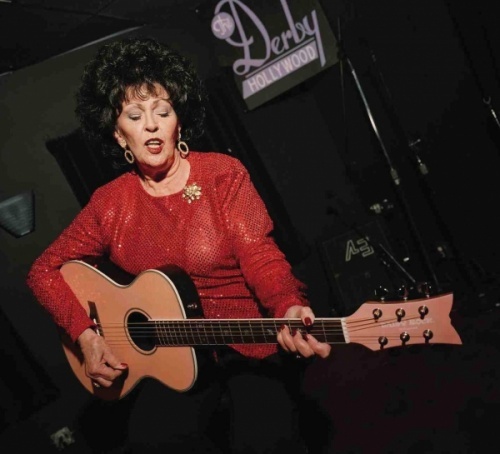 From shaking her hips with The King in her teens to covering Amy Winehouse in her seventies, Wanda Jackson is one of those rare talents whose career has truly spanned the entirety of the glorious rock and roll epoch. She is, after all, The Queen. I recently spoke to Jackson about her life, legacy, and even Lady GaGa. Read on to check out the interview, and then come see The Queen herself when she shows Madison what a real rock and roll show is all about at The High Noon Saloon later tonight! Get your tickets here. Did you hear who’s coming to town this week? Oh, it’s only THE QUEEN OF ROCK AND ROLL herself, Miss Wanda Jackson! The world famous “Rockabilly Filly” was inducted into the Rock and Roll Hall Of Fame last year (what took so long!? ), but her shows are anything but a nostalgia act. You don’t want to miss this living legend shake her stuff and growl her way through an incredible night of music, so you better enter to win a pair of tickets below. Other shows in the coming days include two Smoke Free Sounds Series dates—the first features Charlie Parr in Superior, followed by Monsters Of Mock in Green Bay—and Ozomatli at The Barrymore, right here in Madison. Read on to get the details and enter to win those Wanda tix. Read more about Jackson’s soon-to-be-released album here. We can’t wait to hear it! How do you know when you’ve “made it” as an artist? For some musicians, it would be enough to score a headlining slot at a local venue. Others have their eyes fixed on a hit single or two. For others, success means worldwide adoration and acclaim. This seems to be about as far as most artists dare to dream, but for a select group of musicians, their art has permanently affixed their names to entire movements or genres. Here are a few of the most recognized members of the Musical Family Tree/Royal Lineage. There are certainly more out there—tell us who you’d include! Oh Wanda, finally you will get your due! I mean really, for how long does a girl in rock-n-roll have to wait to receive her props? 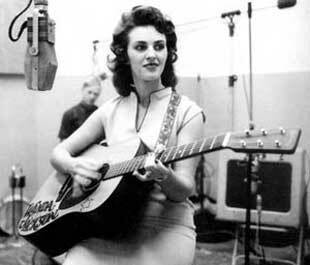 If you are one of the few who’ve missed out on Wanda Jackson, now is the time to listen up. Ms. Jackson, oftentimes referred to as the first female rock-n-roll singer, and celebrated as “The Queen of Rockabilly”, toured with peers Elvis Presley, Jerry Lee Lewis, Johnny Cash, and Buddy Holly. Although she ultimately spurned Elvis’ romantic attempts, we can thank him for encouraging Jackson to shift from her country and gospel roots over to rock-n-roll. True Endeavors has been blessed multiple times to host this ever touring performer. Now 71 years of age, and not one to let any cultural institutions (or omissions) get in her way, Wanda still claims she’s nowhere near retirement. Somehow we’re not surprised. See the “Queen of Rockabilly” on us (and lots of free downloads)! Don’t miss this rock maven as she rolls the house in Mad-town. If you are a fan of any amplified music from the last 50 years there is no other choice but to pay your respects..
Lots of free downloads, check ’em out then buy her albums at the show! “I’ve heard it said that we become writers not because words come easily to us, but because we are always struggling to find the right words. I know this to be true in my own life. Every day I’m struck by something that leaves me speechless. Usually it’s something very simple, very ordinary..
Fourth person to email MJ@TrueEndeavors.com with the show in the subject line will get through the doors for free with a friend!